We are Kavi Family and we have been renting our own villas since 1999. We are dealing with the cleaning, maintenance and gardening of our villas as a family to provide the quality that we are also expecting in our holidays as travelers who prefer renting villas. In our 19th year, we are inviting you to Kizilagaç village, which is located 680 meters above sea level in a wonderful valley surrounded with the beauty of nature and countryside for an unforgettable holiday experience. 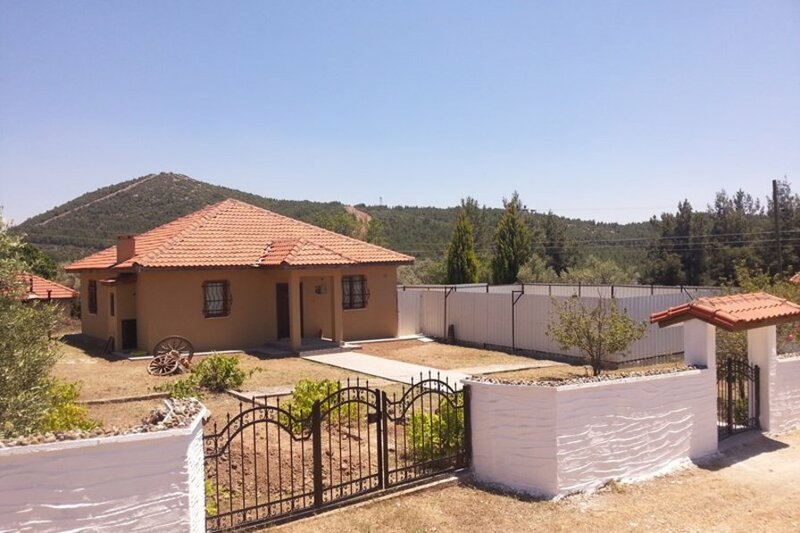 Villa Olivia is located at the outskirts of the beautiful valley which overlooks Kızılağaç village. Villa Olivia is designed in a country house concept with the touches of local rural motifs to have a comfortable holiday in a modernly furnished villa which provides a cultural experience of Turkish country life. Villa Olivia is very popular among our guests who give extra importance to their privacy during their holidays. The villa has a private garden surrounded with walls and a specially designed swimming pool which is covered all around to avoid being seen from the outside. The swimming pool has the only entrance from the inside of the villa. Villa Olivia's 100 m2 size provides a large living area to enjoy a comfortable holiday. Villa Olivia has 2 bedrooms with a double bed and two twin beds which provides a capacity for the accomodation of 4 guests. The large living room of the villa has enough space for 5 guests to spend wonderful time while watching the satellite tv in almost every language or while enjoying the fireplace. The large living room also provides space for the accomodation of 2 addiotional guests. The fully equiped kitchen of Villa Olivia has all the kitchen equipments required in a house. The beautifuly decorated bathroom has a shower and washing machine. The villa overlooks the swimming pool and wonderful image of the green and yellow fields of the valley.